Mavericks is the soon-to-be released OSX 10.9. Apple have run out of cat names and want to promote their 'designed in California' aspect. 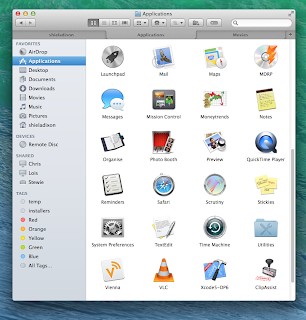 I have it running on a new Air and have been working through my own apps making sure that they're ready for Mavericks. I'm gradually using that machine for more and more tasks. Some background: there are many things I disliked about Lion and have considered Snow Leopard to be the height of their powers. I felt that they'd lost their way - coincidentally at the time that Steve Jobs went off sick. This year's Developer Conference was a turning point. 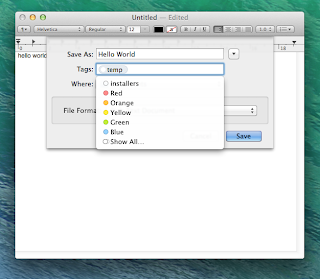 I saw some well overdue features in OSX (I've been waiting for messages in OSX, for example). They turned back on some of the things that I hated (skeuomorphic design - I think the graphic designers ran amok while the usability guys were on holiday). And I saw them innovating once more. Here are the new Mavericks features that really make it rock for me. A small enhancement but really nice. They're already familiar and natural to use. You can tear off a tab into a new window or combine Finder windows. Again, long awaited and really useful. We now escape from the concept of one file being in one folder. Assign a tag to files that are related, and click the tag in Finder's sidebar to see them all together as if they're in a virtual folder. No more cows or trees will be harmed and they've run out of green baize. I refused to even open iCal post Lion - the torn-off pages looked silly and unnecessary. 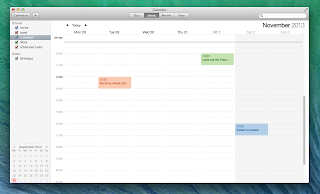 Thank you Apple for a lovely clean and consistent look to iCal, Address Book, Notes and others. Some of the things that I don't like are still there. For example, mono icons in the sidebars and toolbars make it more difficult to find the item you're looking for. I wish 'Save As..' would come back and I don't like my folders being hidden from me, but we haven't gone any further down this road and my fears about the filing system disappearing completely are allayed for now. I'm using the new machine for more and more tasks and looking forward to using it as my main machine. I'm well and truly back on board with Apple. Like you, I much prefer Snow Leopard to Lion, indeed still use it on my iMac. 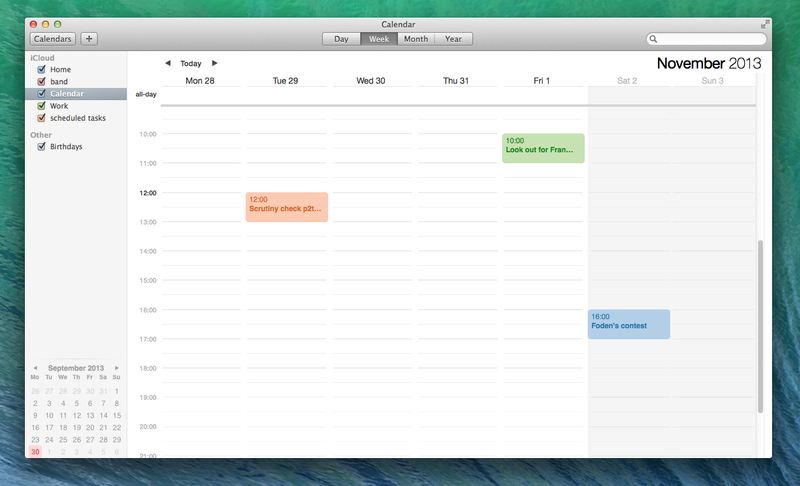 And I HATED the calendar and address book design in Lion. I must admit I love it to bits Rick. The SSD means the system and applications start up in the blink of an eye. As you know I like working at a desk with a big screen, so I've got it plugged into a thunderbolt display and use a proper keyboard and mouse. It's just like using a big iMac. But I can just unplug it and I've got something not much bigger than an iPad that I can take out and carry on with the same work. It's working out beautifully.